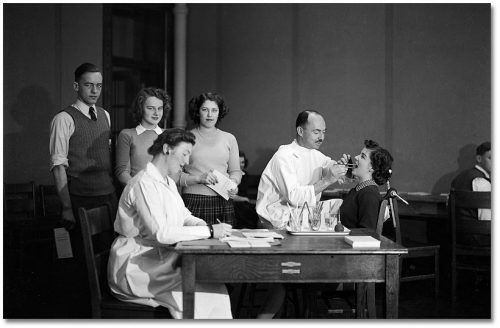 As early as 1914, Medical Officer of Health Dr. Charles Hastings identified a gap in the Department of Public Health’s services for adults, noting the need for free dental clinics for all ages. In 1916, he warned of a rise in “the wasting and degenerative diseases of middle life,” such as kidney and heart disease, hardening of the arteries, and cancer. 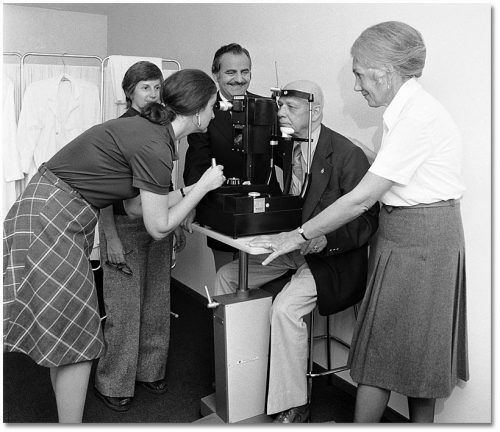 He also discerned a rise in mental illnesses caused by the “strain and stress” of the modern age. His successor, Dr. G.P. 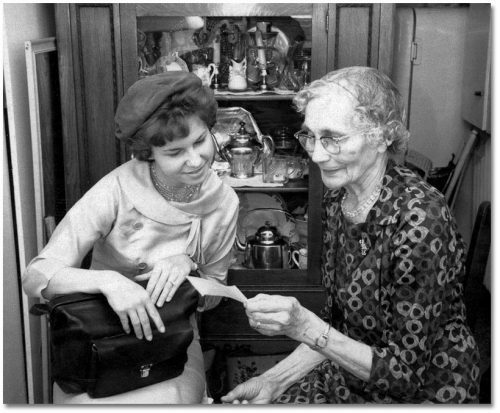 Jackson, observed the necessity of extending mental health care to teenagers, who “must struggle alone with complexities, physical, psychic and mental, the heritage of adolescence.” Dr. Jackson further noted that seniors were a growing part of the population, and must have programs catering to their special needs. 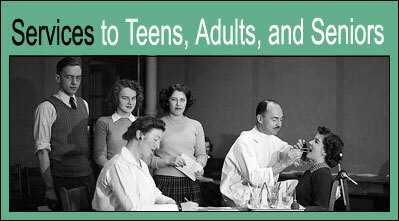 However, in the face of the volume of work to which the department was already committed, programs for adults and teens remained small and few. 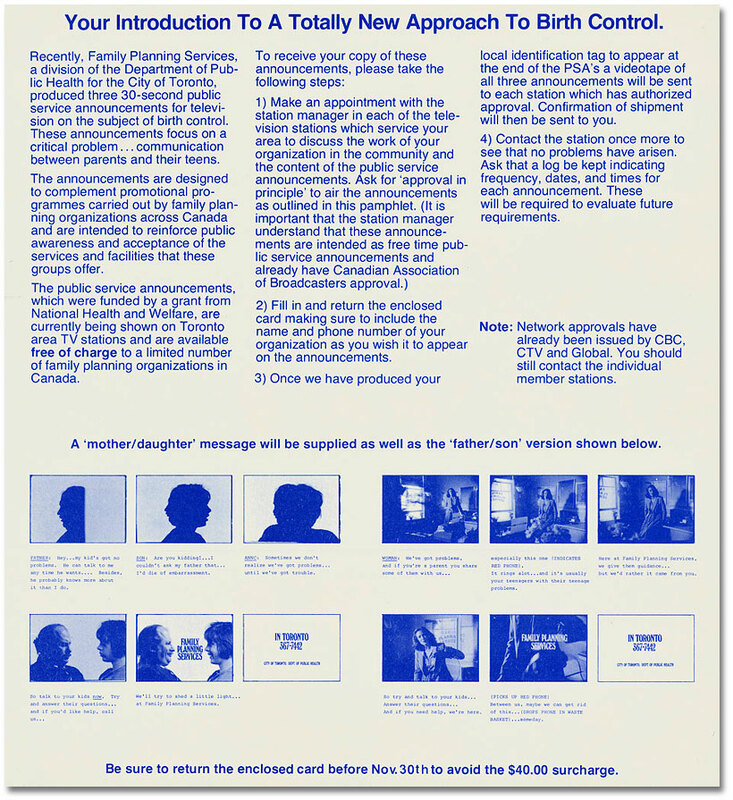 By the 1960s, however, some of the department’s long-standing services were less in demand. 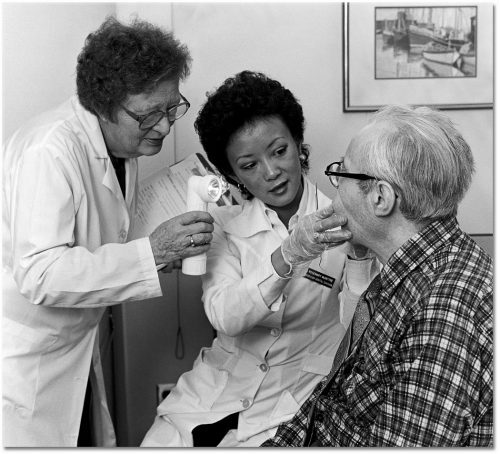 The development of the Ontario Health Insurance Plan meant that all families could afford to see a doctor. Clean drinking water, almost universal vaccination against common diseases, and the discovery of antibiotics made formerly fatal diseases uncommon and treatable. The department could turn its attention to groups that had previously been underserviced. 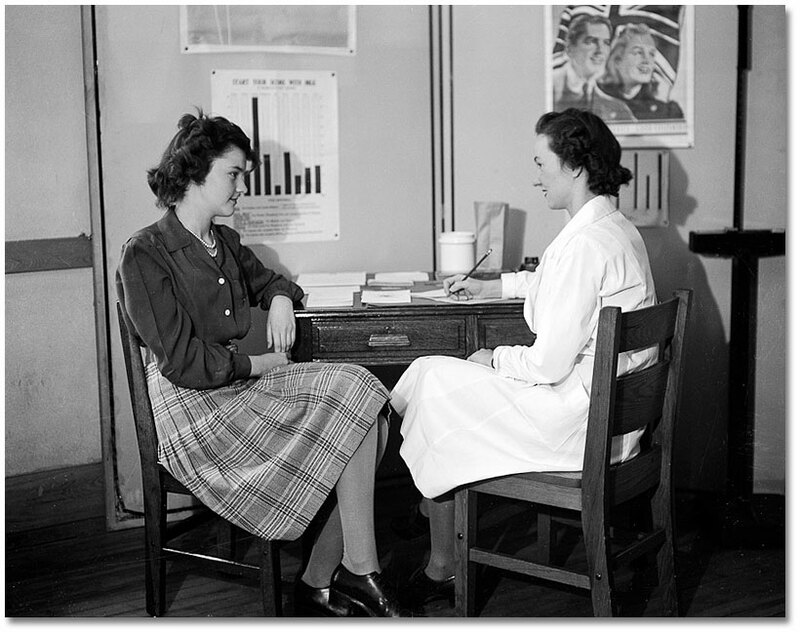 By the 1960s, expectations of good public health services were changing. 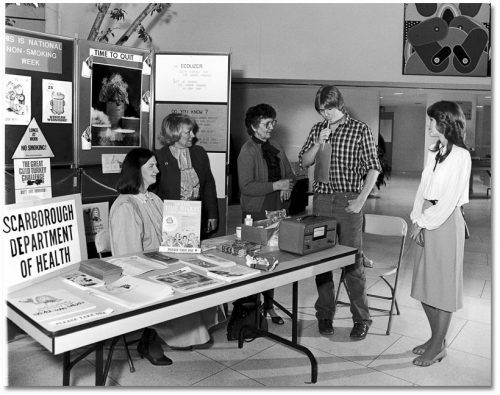 The sexual revolution brought birth control and sexuality into the public consciousness like never before, and the department responded with bold initiatives that wouldn’t have even been considered previously. 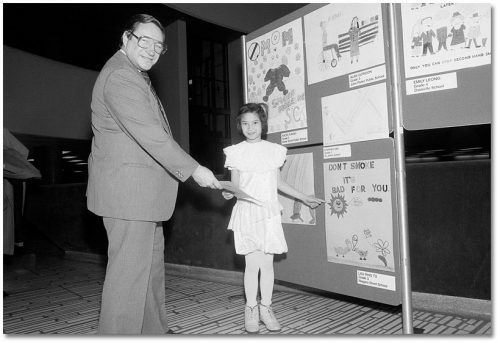 In 1965, the department sponsored its first family planning clinic, open one night a week at Toronto General Hospital. At the time, birth control was technically illegal under the Criminal Code, and it remained so until 1969. 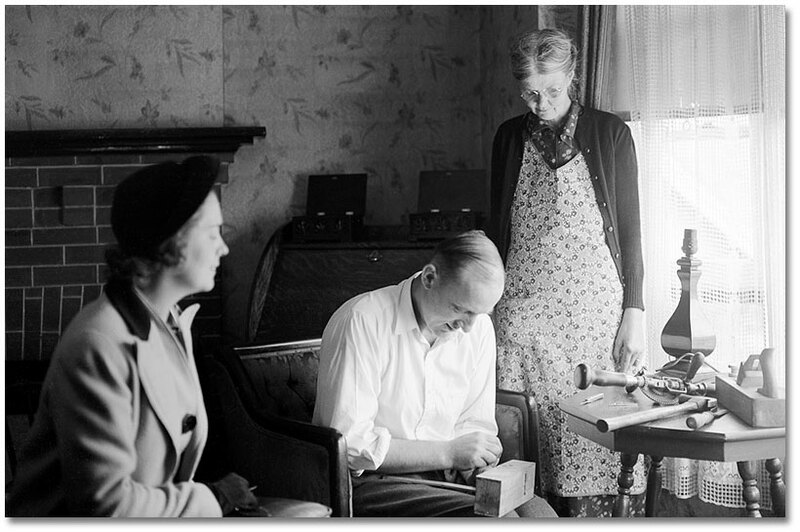 However, no one providing birth control information had been prosecuted since Ottawa nurse Dorothea Palmer won a landmark court case in 1937. The department’s first Birth Control Week was held in 1974, and included “keynote speakers and contemporary music” at booths set up in Nathan Phillips Square, parks, and malls. 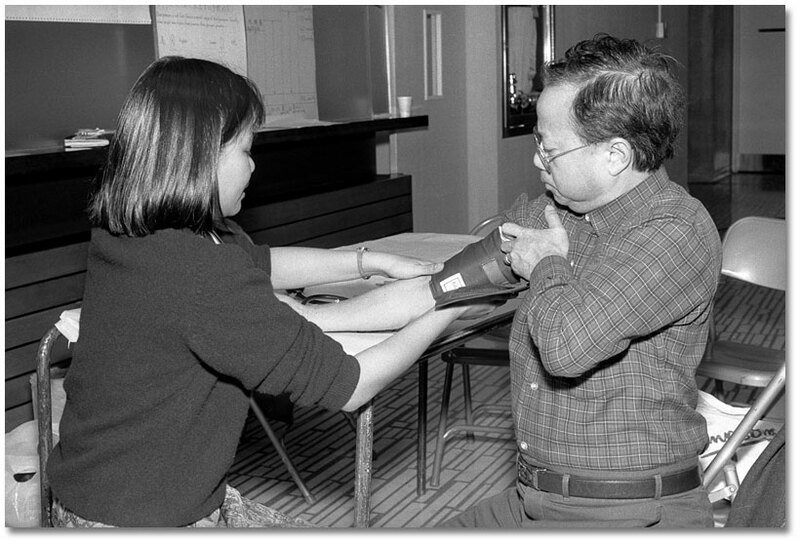 Increased immigration and a social reaction against the perceived paternalism of experts also led the department to find fresh ways to bring health information and care to new generations of Torontonians. 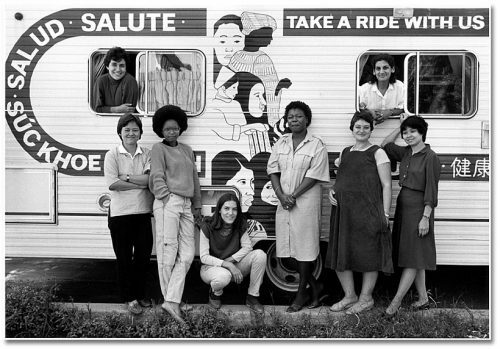 Efforts were made to reach out to specific cultural communities, and the department funded several non-profit clinics, including the mobile clinic shown below. 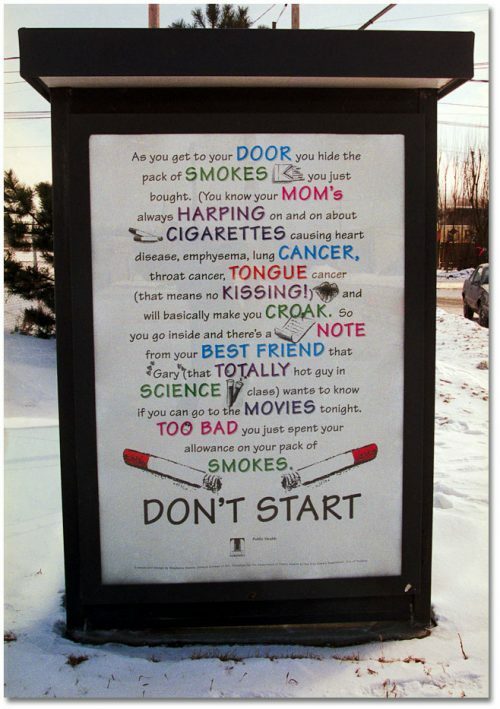 Since the 1960s, other areas of focus for the Department of Public Health have been anti-smoking, anti-drinking, and anti-drug campaigns. New insights into the damaging effects of old habits prompted the department to take its services in different directions. The “ecolizer” shown in use here tested carbon monoxide levels in the exhaled air of City employees and visitors. 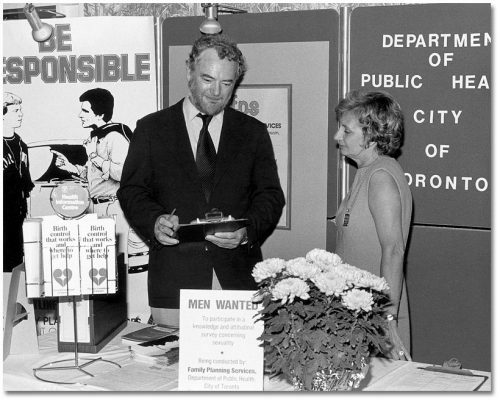 The ecolizer was pioneered in Scarborough’s 1974 anti-smoking campaign.